In Japan, it can take as long as 20 years to become a sushi chef (called an itamae). You first start on cleaning duty and very slowly work your way up the ladder. It takes 5 years or so of training before you are promoted to the level where you being to make sushi rice. Then that will be your job for however long it takes to perfect the rice before you may get promoted to the next level. 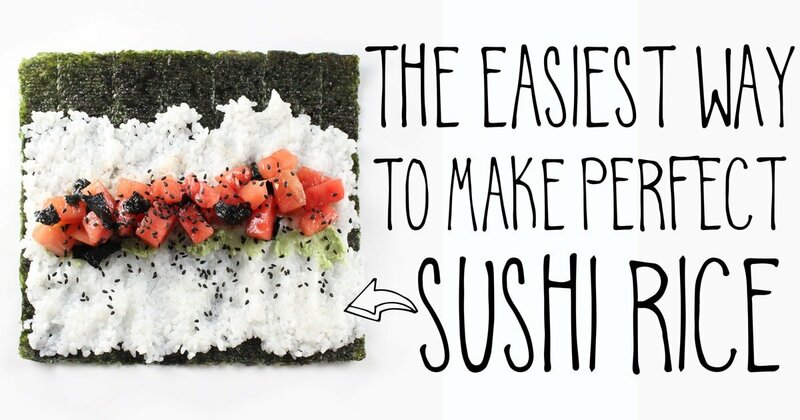 Thats the most difficult way to make perfect sushi rice. Now, I can pretty much guarantee you that the sushi rice a proper sushi chef makes, is going to be far superior to mine, and I don’t even want to try and compete. But since I’m never going to train to be a pro, and I want to eat sushi rice… like, today, this whole 5 years of training thing is just not gonna happen for me! So, I’m sharing with you my cheater method to making sushi rice, no years of training needed. 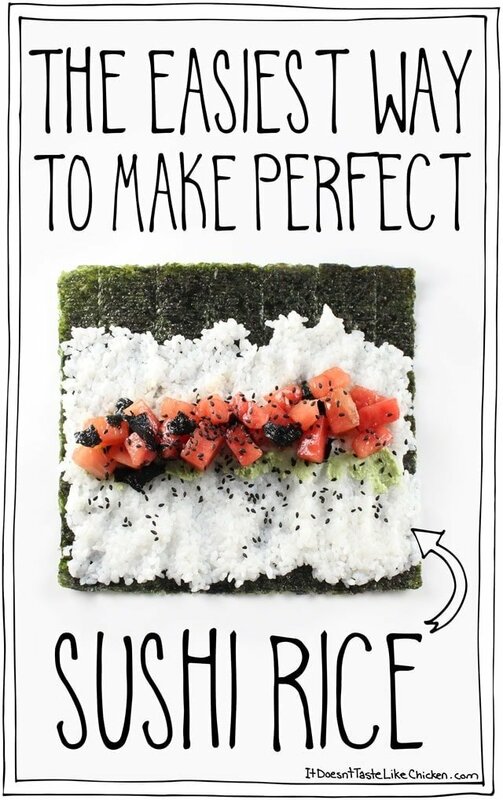 This is The Easiest Way to Make Perfect Sushi Rice. And by perfect, I mean perfect for us at home, non-professional sushi makers. My technique for sushi rice, I’m sure, is all sorts of wrong according to an itamae, but for my at home sushi making, I just LOVE it. It’s sticky, has that vinegar tang, a hint of sweetness, works like a dream for making any type of roll, and only requires 3 ingredients! Sushi rice, seasoned rice vinegar, and water. Boom! Easy peasy is the name of the game here on It Doesn’t Taste Like Chicken. Oh, and if you are wondering what that pink stuff is on my sushi, it’s watermelon! 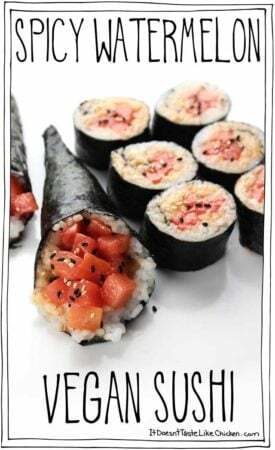 Check out my recipe for Spicy Watermelon Vegan Sushi! First things first, the ingredients. When shopping for sushi rice, it may be called sticky rice, or short grain sticky rice, but the right kind will usually say that it is ideal for sushi on the package. The brand I had this time is only available in Canada, but here is another brand I have used in the past that works wonderfully as well. Then all you need is seasoned rice vinegar. It’s important that you make sure the bottle says “seasoned” on it, and not just plain old rice vinegar. 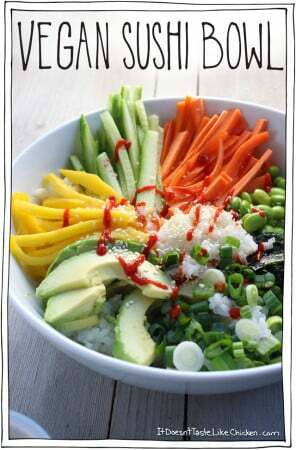 Seasoned rice vinegar is fairly sweet, which gives scrumptious flavour and also helps the rice get sticky. I used Nakano brand this time, but Marukan brand is also great. First things first. It’s important to have a troll hand. Ha! No, this is just an awkward angle for my hand. My hands aren’t photogenic, ok? 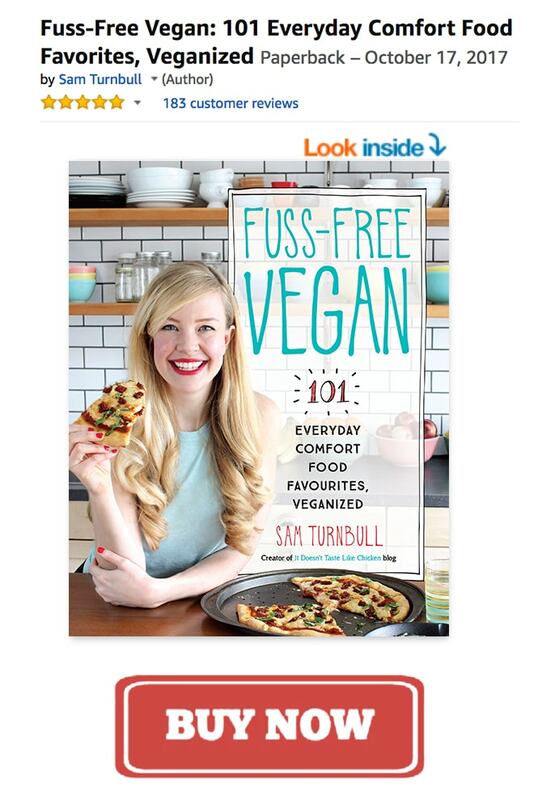 True story: I spent more time photoshoping my hands in my cookbook than I ever did any food photos. Back to sushi rice. 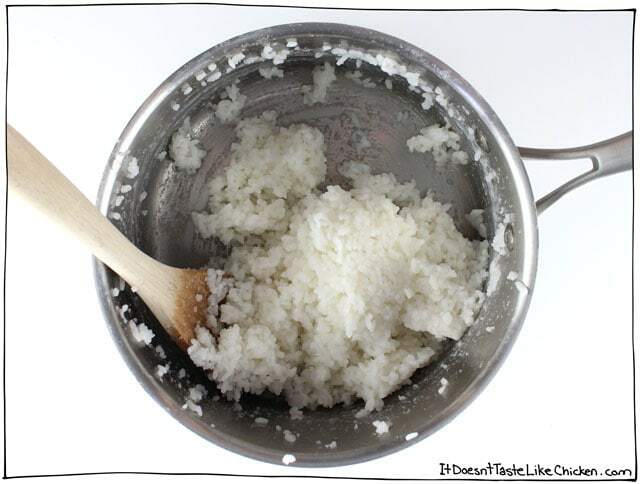 In a medium pot, rinse the rice by covering it with water and stir it with your fingers until the water is foggy. Drain off the water. Now add 1 1/2 cups fresh water to the rinsed rice. Put over high-heat, cover, and bring to a boil. The second that it starts to boil, reduce to low to so the rice is at a very light simmer, keeping it covered. Cook for about 10 to 15 minutes until all of the water is absorbed and the rice is tender. If your rice isn’t cooked all the way through, but the water is absorbed, stir in a splash or two more water, and continue to simmer. 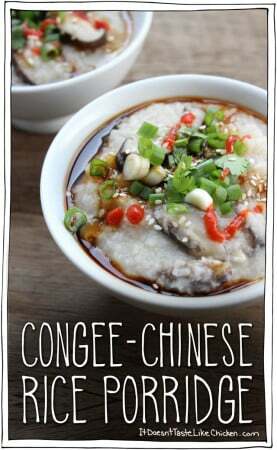 Remove from heat, add in the seasoned rice vinegar, then stir and fluff the rice to incorporate the rice vinegar. The rice will become sticky and clump together. 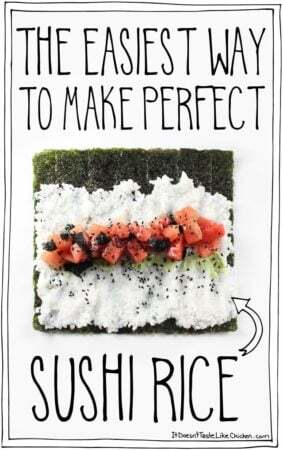 Allow the rice to cool before handling and using to make sushi. Done! Told you that was easy. Making sushi at home is quick and easy when you have this technique for making perfect sushi rice, every time! In a medium pot, rinse the rice by covering it with water and stir it with your fingers until the water is foggy. Drain off the water. Add 1 1/2 cups fresh water to the rinsed rice. Put over high-heat, cover, and bring to a boil. The second that it starts to boil, reduce to low to so the rice is at a very light simmer, keeping it covered. Cook for about 10 to 15 minutes until all of the water is absorbed and the rice is tender. If your rice isn’t cooked all the way through, but the water is absorbed, stir in a splash or two more water, and continue to simmer. If you have a rice cooker, simply rinse the rinse as directed. Add the rinsed rice and 1 1/2 cups fresh water to the rice cooker start the cooking cycle. Once cooked follow the instructions to fluff and vinegar the rice. Well, I’ll take a “wild guess” and say that I’ll bet the pink stuff is pickled ginger, although I’ve never seen it in quite that form before, sort of “chunks”….usually it’s very thin slices….I LOVE the stuff on veggie sushi!……and speaking of which, I do ADORE regular “real” sushi rice, but whenever I get veggie sushi, I have them make it using BROWN rice, just because it’s so much healthier than white. 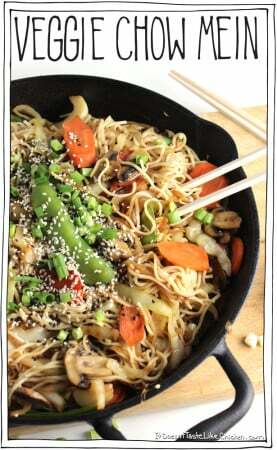 Do you think your recipe would work “okay” substituting brown rice?? By the way, I only just recently was turned on to your site, thanks to “Thomas” of “FULL OF PLANTS” mentioning you and your site in one of his comments. And so far I think you (AND your site) are simply WONDERFUL!!!!! 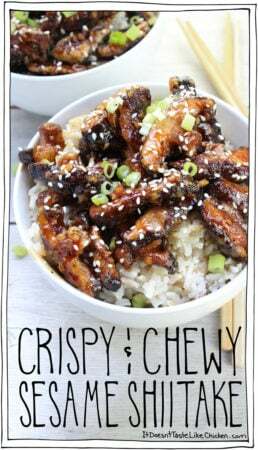 PS: I gave this recipe a 5-star rating even though I’ve not tried it (yet) because I have ABSOLUTELY ZERO DOUBTS about it being anything less than 5-Star!!! I think a brown sushi rice would work well, although I would check the package to see about the water ratios and cooking times as it will likely be a bit different. Very creative. Would try but I just love the taste and smell of real sushi. Substituting might just make me eat the real thing. Thanks again. 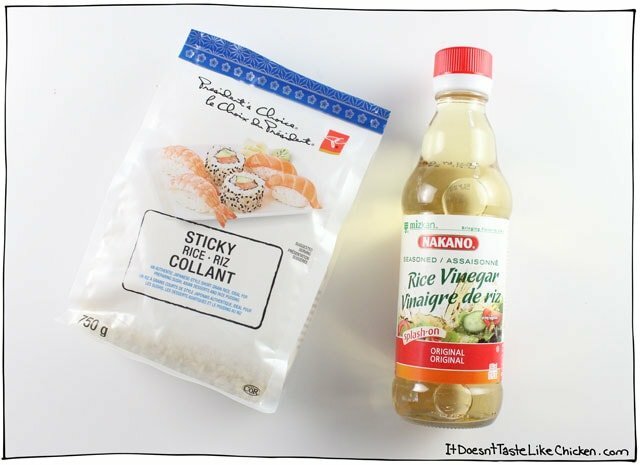 This looks great and really easy, but can you possibly suggest something to use other than the rice vinegar? The reason that I am asking is that any kinds of vinegar can cause anaphylaxis in me! I realize this is a very odd allergy, and it didn’t develop till I was in my mid 30’s, and it is really rather irritating as I LOVE sushi, but now have to avoid it unless it’s sashimi (and that gets boring fast, lol!). 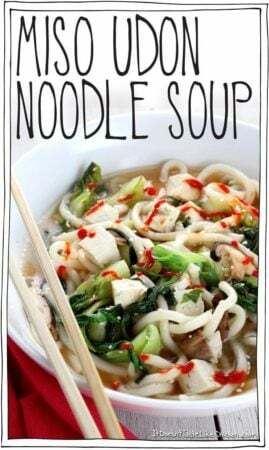 Just wondering as I really want to make this! Hi Sheila, oh no, that’s too bad! 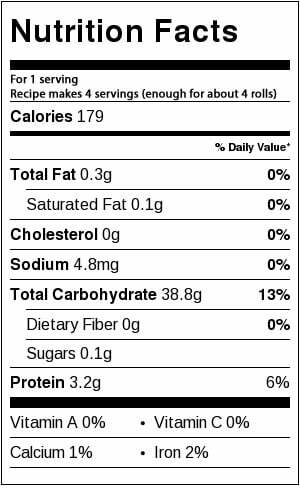 Sushi rice (as you know) is always made with vinegar so anything else would be an experiment, but I did find a discussion thread about this very topic here, so perhaps you could try some of those suggestions? Hope that helps! I hope its a fish substitute. We’ve been looking for one for our sushi.